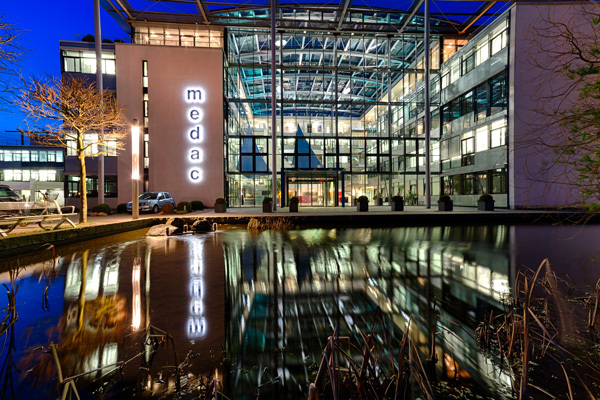 medac GmbH is a global, German owned pharmaceutical company, which specialises in the treatment and diagnosis of oncology, urology, autoimmune diseases and fibrinolysis. With over 1000 employees in 18 countries worldwide, we are always striving to continue with our specialist research and development to enable us to expand our therapeutic portfolio, and in turn, improve the quality of patients’ lives. Our portfolio contains both new, innovative medicinal products for rare diseases and established products. Specialist distribution and marketing teams ensure medac’s products are supplied directly to markets all over the world via our subsidiaries.